If you're hoping Agent 47 will make an appearance at E3 2014, you're going to be disappointed. IO Interactive confirmed today that Hitman 6 for PS4, Xbox One and PC won't be appearing at the convention. "We know the worst thing is to hope for something that doesn’t turn up; so we wanted to let you know that our next Hitman is going to be under wraps for a bit longer," IO said in a new post on the Hitman website. "We’re focusing all of our time and efforts into creating the best possible Hitman game. That’s our number one priority and we don’t want to divert valuable resources to show something before it’s ready." 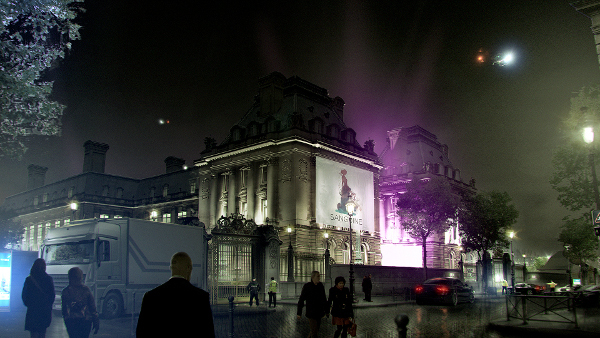 Hitman 6, formally announced in January, follows Agent 47 as his undertakes assassination contracts throughout the world. The Contracts Mode from Hitman: Absolution, which allowed players to create and share custom missions, will be returning. "The good news is we’re making great progress with building exotic and expansive locations for the new game. To give you an idea of what we’re aiming for, here’s the first piece of concept art from the game. This location is set in Central Europe and you’ll be able to explore the entire building you see in the image, inside and out. For a sense of scale, the building on its own is larger than any location in Hitman Absolution." That fun fact about map size should be music to many Hitman fans' ears. The linear, segmented levels of Absolution were a turn-off for many of them. I wonder if their other punching bag, Instinct Mode, is getting the axe as well. Though Hitman 6 won't be at E3, IO promises that they'll share new details on the game throughout the year. "We will only lift the lid on the game once we feel we’re ready to. In the meantime, we’ll continue to answer as many of your questions as we can both in the forums and on Twitter." IO never mentioned when we can expect Hitman 6's release. If it's not ready to be shown at E3, though, there's a good chance it won't be hitting stores until 2015 at the earliest.